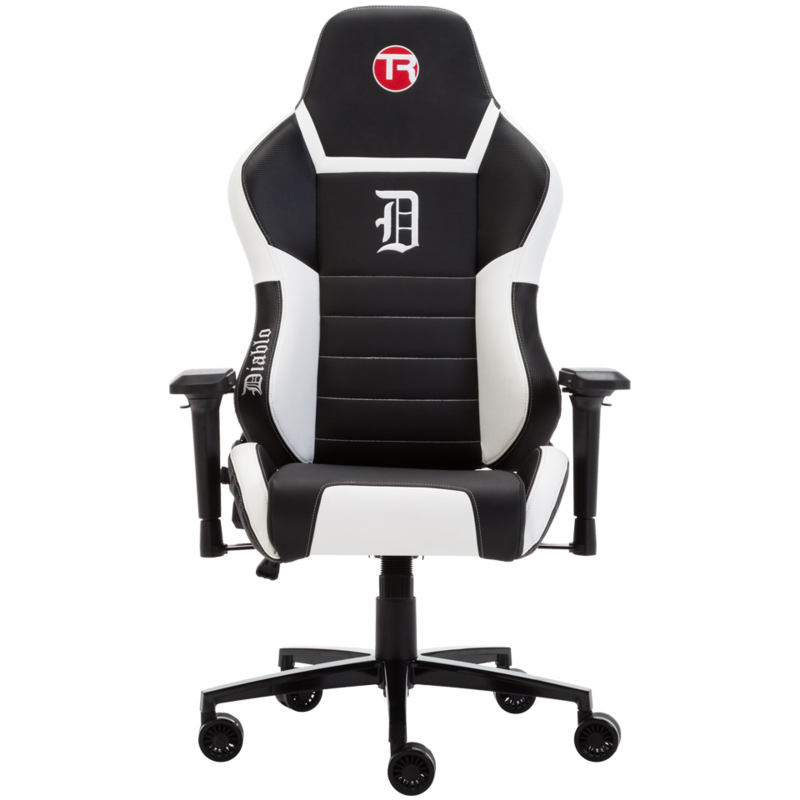 The DIABLO is the perfect fit for all users after the most comfortable and well presented seat on the market. This industrial strength chair offers a greater level of support for your entire frame and a vibrant range of colours to select from. 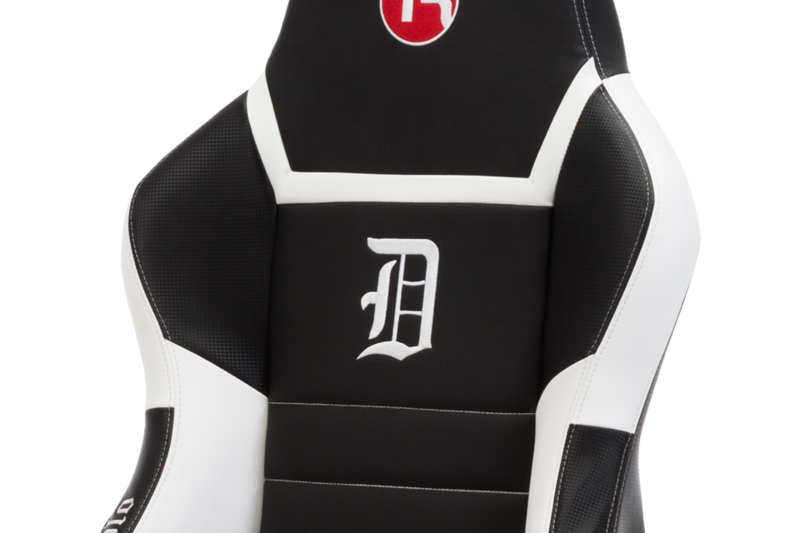 Inspired by car racing seats, the DIABLO is the perfect fit for people seeking individualism with it’s vibrant colour range. 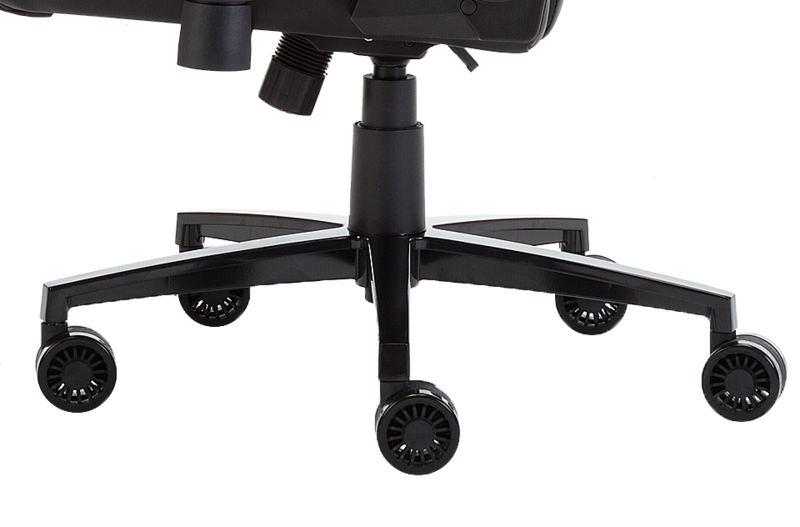 This industrial strength chair offers a greater level of support for your entire frame and head with it’s body hugging design. The DIABLO is designed to mould to the human body and provide superior lateral support and distribution of weight. 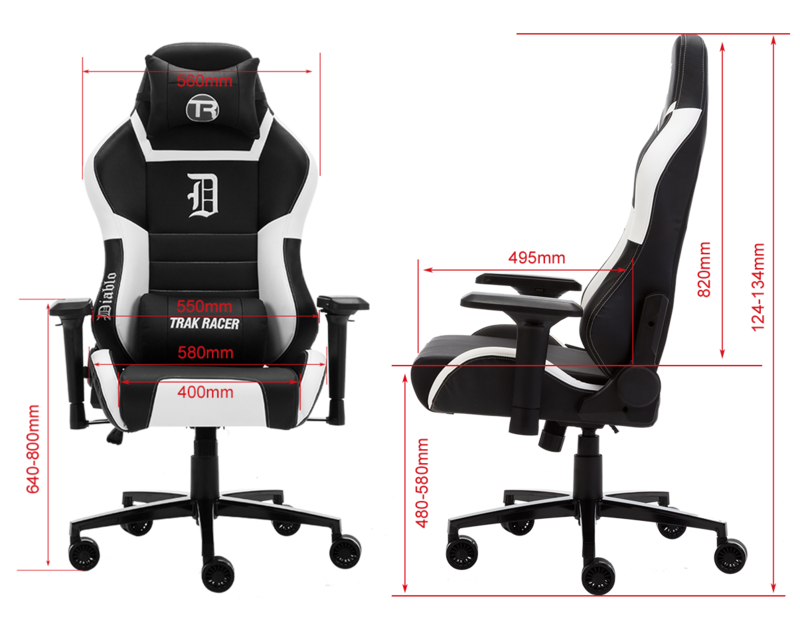 Like it’s big brother, the KNIGHT, the DIABLO comes with firmer and thicker (cold-cure foam) cushioning to give the greatest amount of comfort for long periods of use. 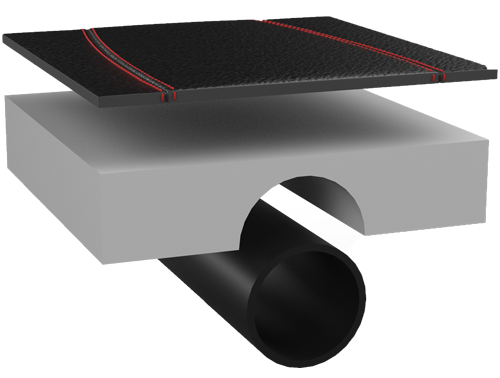 A range of trim finishers including Carbon Fibre are available and are beautifully tailored to each chair. 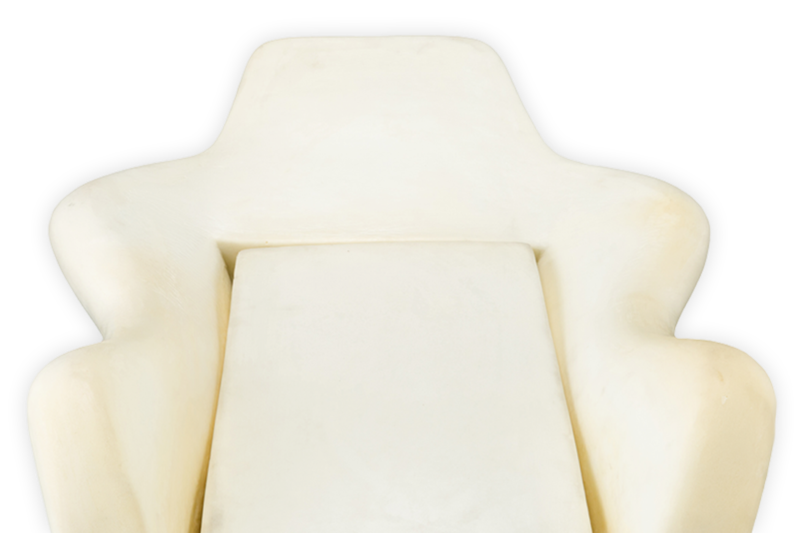 The latest material technologies, premium finishes and finest craftmanship combine to produce the most distinctive seats on the market. 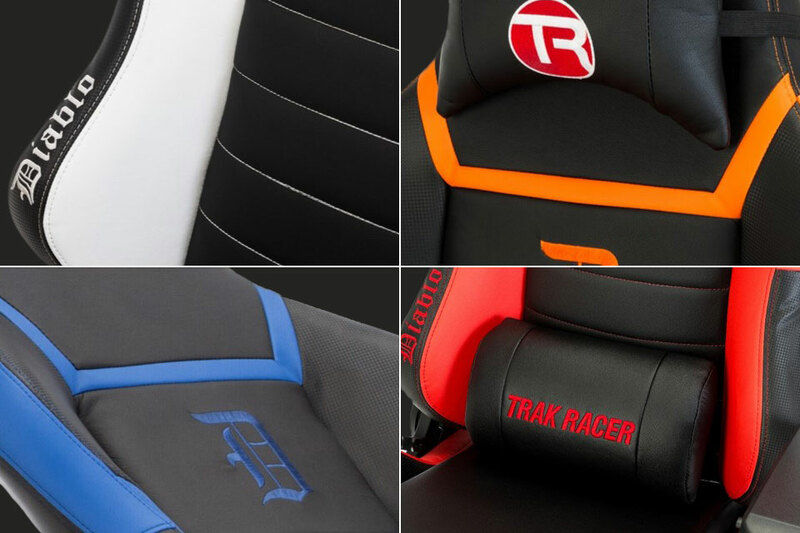 The use of one of Trak Racer’s SUPERIOR PU finishes greatly enhances the individuality and appearance of your game chair. 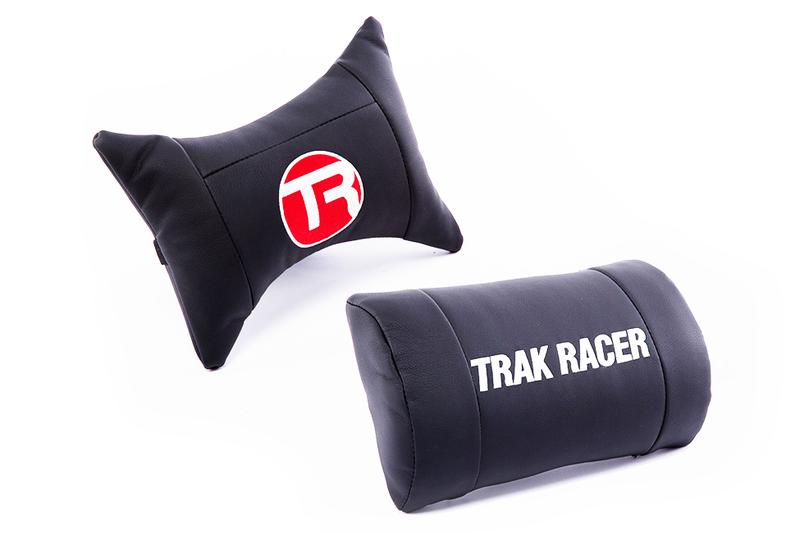 Trak Racer chairs provide greater levels comfort and maximum spinal support with the side bolsters and shoulder support. 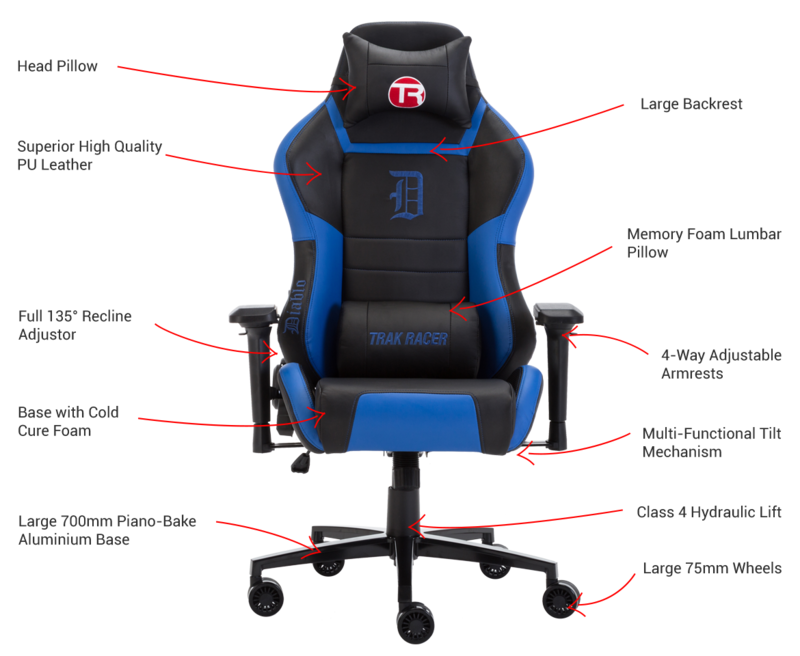 We have incorporated years of experience within the sports car seat field and in collaboration with professional esports players to produce the most incredible spinal support from pelvis to neck. 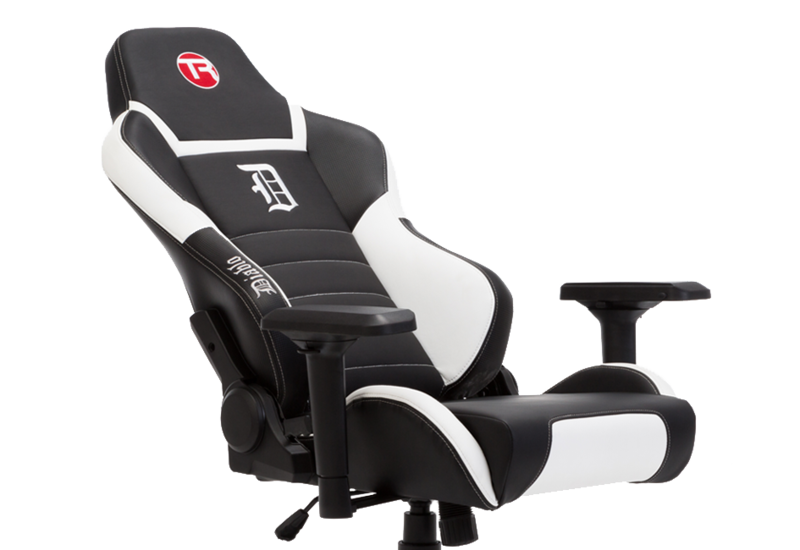 With premium quality automotive-grade hinges, the DIABLO will allow you to comfortably recline to an almost flat position. The perfect answer to a mid-day siesta! 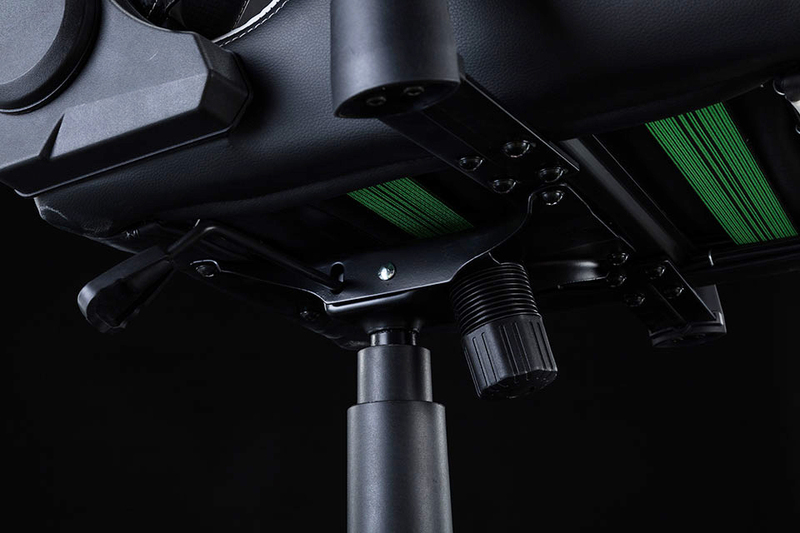 With the reinforced backrest compared to it’s competition, the DIABLO is perfect for the small, tall and medium up to 165cm in height. 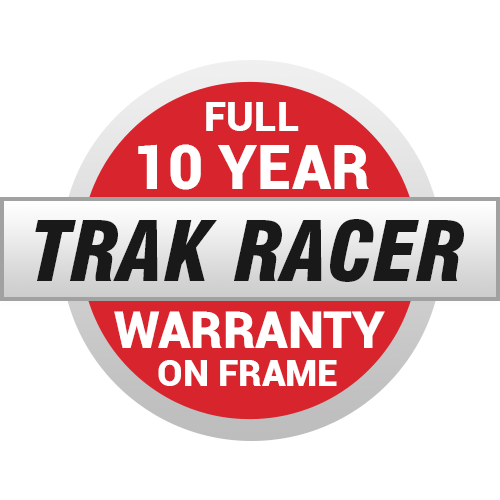 Constructed from durable steel, the Trak Racer tilt mechanism also features a conveniently located Twist handle wheel that allows you to control the tension of backwards tilt and suspension. 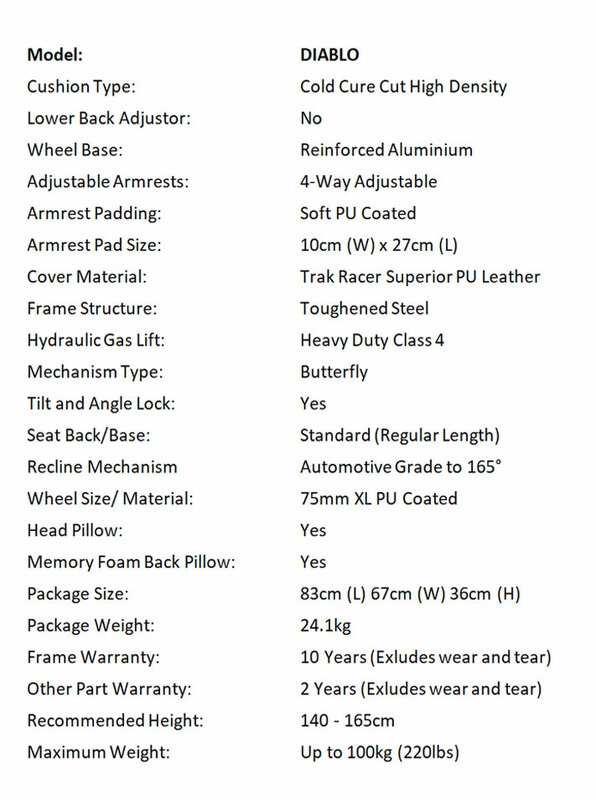 The inner workings of the DIABLO incorporate the use of only top class materials to provide comfort and reliability. 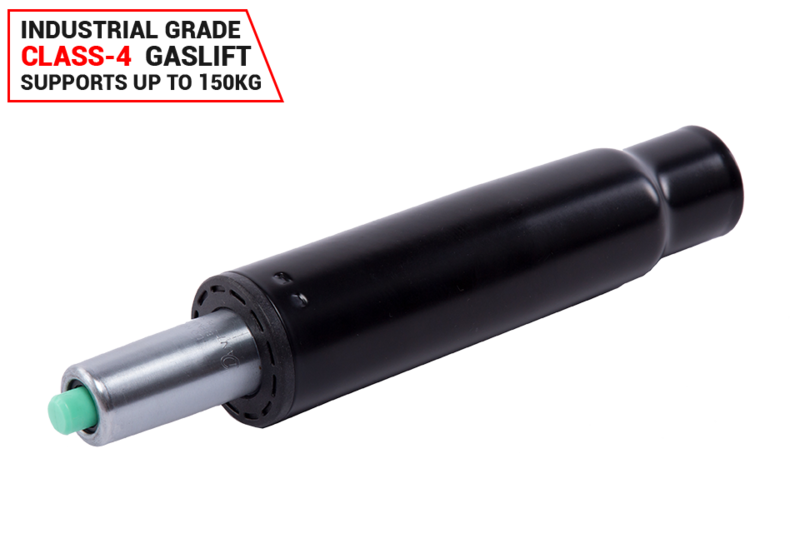 Each component in the DIABLO has been specifically chosen for DURABILITY, COMFORT AND QUALITY. 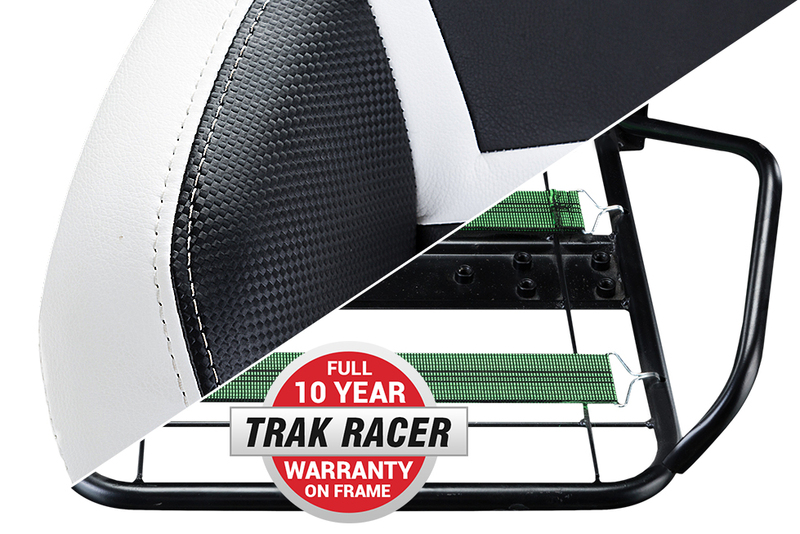 With a maximum weight of 100kg (200lbs), Trak Racer Office Chairs are suitable for a wide range of users. 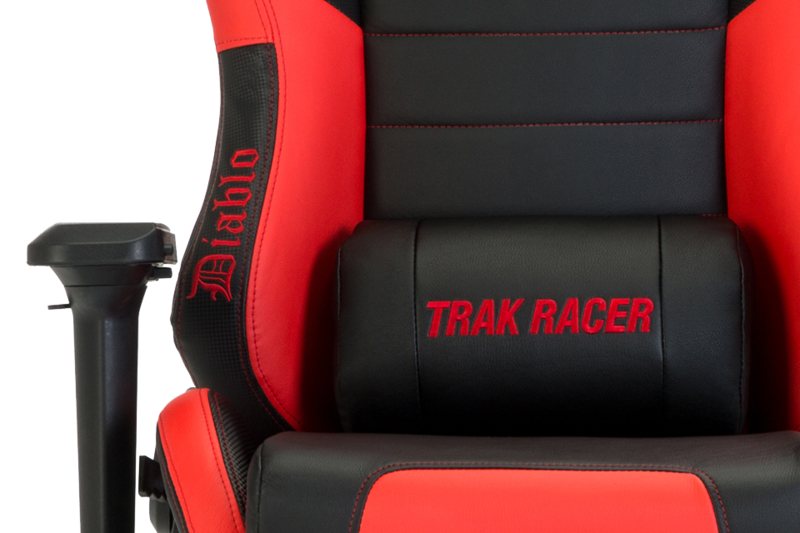 Trak Racer DIABLO Premium Gaming Chair - Superior PU Leather in Black/Blue has a rating of 0/5 based on 0 reviews.